For many, the option of air conditioning is seen as a luxury rather than a necessity. But with global climate change bringing about extreme weather conditions, air conditioning may be an answer to prevent deaths in some instances. Gone are the days where air conditioners were big and bulky units to cool the office or the home. Modern air conditioners offer intelligent climate control and can maintain the internal temperature to a fraction of a degree. For the elderly, air conditioning has more significance. With advancing age, the body’s ability to maintain a normal temperature level is impaired. This thermoregulatory mechanism is also impacted by diseases and drugs. It is therefore not surprising that seniors form a significant portion of fatalities both from freak cold spells and blistering heat waves in every part of the world. Nevertheless there is at times apprehension among seniors about air conditioning. Often there are misconceptions about the pros and cons of air conditioning but much of it largely lies around ignorance. Is it really necessary? Will it be a costly power hungry device? Will air conditioning lead to colds and flus? Are there toxic chemicals in air conditioning units? Quite simply an air conditioner is a thermoregulatory device for the environment in much the same way as the temperature centers in the brain, sweat glands in the skin and blood vessels regulate the internal body temperature. When the room temperature drops below the desired level, the air conditioner can provide warm air or simply deactivate its cooling effect to raise the ambient temperature. Conversely, when the room temperature rises above the desired level, then the air conditioner can circulate cool air to drop temperature to a comfortable level. The option as to how high or low to maintain the environment is entirely decided by the user with temperature settings being easily changed at the press of a button. Air conditioners contain special chemicals that can absorb heat in the environment to convert from a fluid to gas state. The gas is then cooled returning it to a fluid state. By constantly moving from fluid to gas and gas to fluid, air conditioners can essentially “extract” heat from the environment. These chemicals are contained within a closed unit and even in the event of leaks, these chemicals are not poisonous. Modern air conditioners are not just cooling devices. Internal electrical elements can convert electricity to heat and circulate warm air into the environment. By balancing its heating and cooling abilities with the room conditions, air conditioning can maintain a constant temperature level. In addition, many modern air conditioners have special filters that can trap dust and microbes in the air therefore giving an additional purifying effect to the air. There is no denying that air conditioning can be costly. To fulfil its functions, air conditioners may at times have to draw on substantial electricity. However, modern air conditioners are fairly energy efficient and can prove to be affordable when compared to the devices of yesteryear. Home insulation plays a part in the efficiency of an air conditioner. If the cool or warm air can be kept within the building, then the air conditioning unit has to work less in order to maintain the temperature at the desired level. Less work means less power and ultimately lower costs. However, there is a point where need overrides cost for those who can afford devices such as air conditioning. Stories of the elderly freezing to death or dying of a heat stroke are not uncommon and in many instances, this occurs indoors. Air conditioning is therefore a life saving device in these cases. There may be other means to warm and cool a room and the body but few devices can offer the versatility and efficiency of an air conditioner. 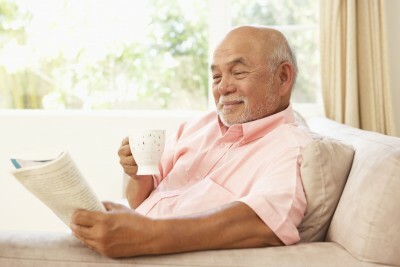 For the elderly the question of installing an air conditioner should be seen in the context of the health implications of being unable to regulate the temperature of the internal environment.